Purok 8, Brgy. Kiburiao, Quezon, Bukidnon on August 2, 2017. CAMP EVANGELISTA, Patag, Cagayan de Oro City - Two NPAs were captured by the combined troops of AFP and PNP during a clash in the outskirts of Purok 8, Brgy Kiburiao, Quezon, Bukidnon early today, August 2, 2017. 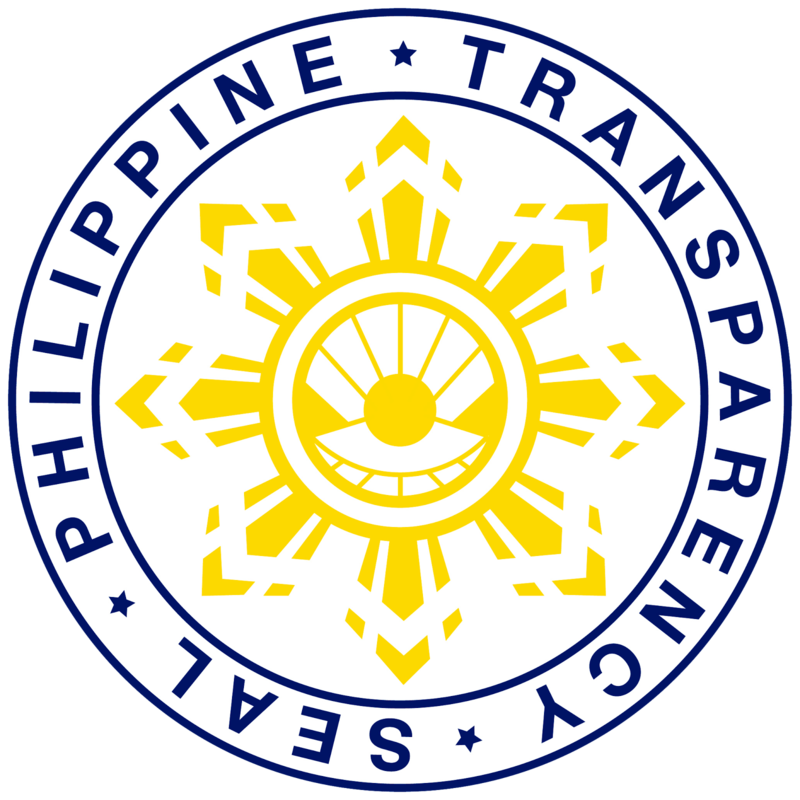 Troops responded to a report that a group of NPA bandit is planning to launch atrocities in the area. When they (troops) arrived, clash ensued and lasted for about 5 minutes which prompted the NPAs to scamper out of the said community. 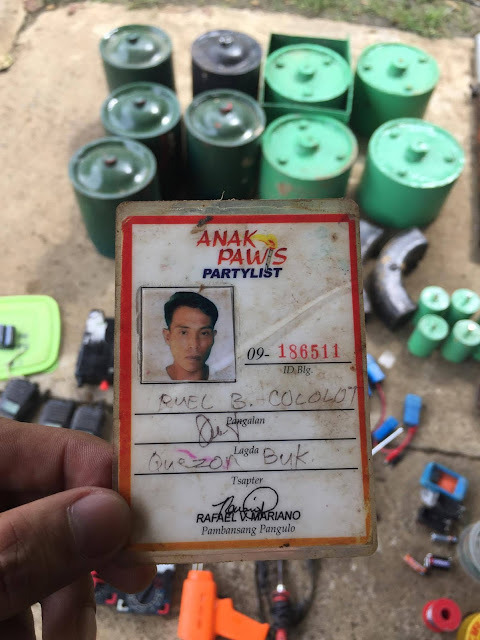 Troops in pursuit were able to track down and successfully nab two NPAs namely Ruel Cololot, bomber, Improvised Explosive Device expert, and a member of Anak Pawis Partylist (ID recovered from his possession) and Ramil Cololot, member of the said NPA terror group. 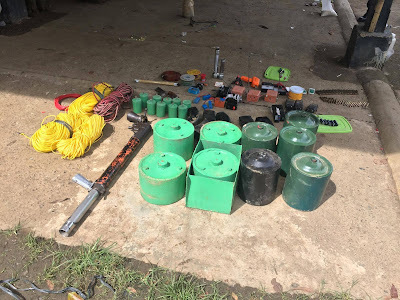 Troops confiscated from their possession are the following items: one (1) 57 RR , 24 pcs of IEDs, two (2) Cal. 38 revolver, ten (10) meters safety fuse, 200 meters detonating chords, five (5) blasting caps, switch boxes, three (3) Laptops, fifty one (51) rounds of cal. 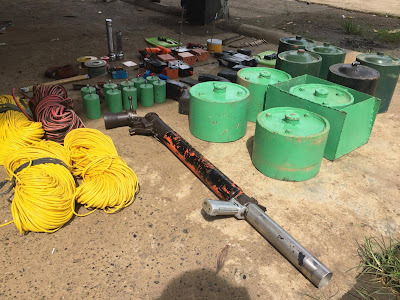 30 ammunition, other IED Paraphernalia, and subversive documents. Bukidnon on August 2, 2017. Col Eric C Vinoya, 403rd Infantry Brigade Commander immediately ordered his troop to clear the said area and conduct pursuit operation to the other NPA members. 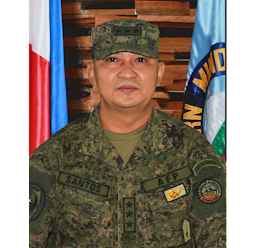 MGen Benjamin R Madrigal Jr., 4ID Commander congratulated the troops for successfully addressing the situation, he said, "It is my honor to congratulate our troops who proactively addressed the insurgency situation that is making our people's lives miserable in that community. This another victory sends a strong message to all NPAs that people are already fed up to all your lies and atrocities. The reports that we received from all the people manifests their anger over your decades of atrocities. Continue your modus and crimes and you will have your place behind bars." 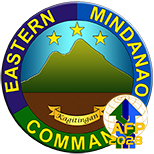 For his part, General Eduardo M Año, Chief-of-Staff, Armed Forces of the Philippines, who is currently giving awards to the wounded soldiers in Camp Evangelista Station Hospital, also extended his congratulatory message to the troops, he said, "Congratulations to our gallant forces for this big accomplishment. You have once again proven to our people that good will always prevail. These arrested NPA members will surely pay for the crimes they've committed against the people. Carry on and continue to press the fight for we know that we have the strength and support of our people." The arrested NPAs are now in the custody of the PNP for proper facilitation of case.